If the bill becomes law, there would be a ban on nearly all iPhones and many Android devices across California. California: home of the world’s biggest technology companies, terrible bagels, and the only place that can suffer both drought and floods at the same time. Despite the state’s deep tech roots, California’s legislature is considering banning devices that come with unbreakable encryption. 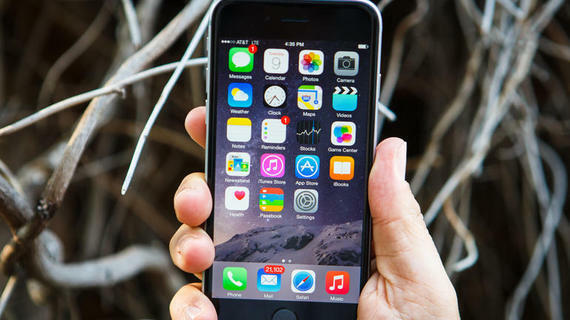 Any smartphone that couldn’t be decrypted on-demand would subject a seller to a $2,500 fine. If the bill becomes law, there would be a ban on nearly all iPhones and many devices that run Google’s Android software across the state. The irony likely isn’t lost on Cupertino, California-based Apple, which if the bill passed into law, would not be allowed to sell in its own backyard — literally. Apple has previously said it cannot feasibly bypass a user’s iPhone or iPad passcode, making it unable to respond to warrants for data stored on its devices. Google implemented similar encryption for data stored on newer devices, but in most cases it can still be forced to turn over user data. Apple and Google were not available for comment outside business hours. The bill must pass the assembly and the state senate, and be signed into law by Gov. Jerry Brown (D). The bill echoes the sentiments of the New York senate, which last week introduced almost the exact same word-for-word legislation. The bills come at a time as lawmakers and Silicon Valley tech giants are figuring out how to compromise on device encryption without handing over the keys to the government, or giving its law enforcement and intelligence agencies unfettered access. At least in the case of New York’s bill, the senate’s new website comes with a set of virtual voting buttons, which give state residents the ability to register their views on a bill with “aye” or “nay” buttons. The aim is when a senator comes to vote, they can see from their website’s dashboards which way their constituents want their lawmaker to vote. This story originally posted as “Now California state wants to ban sale of encrypted smartphones” on ZDNet.